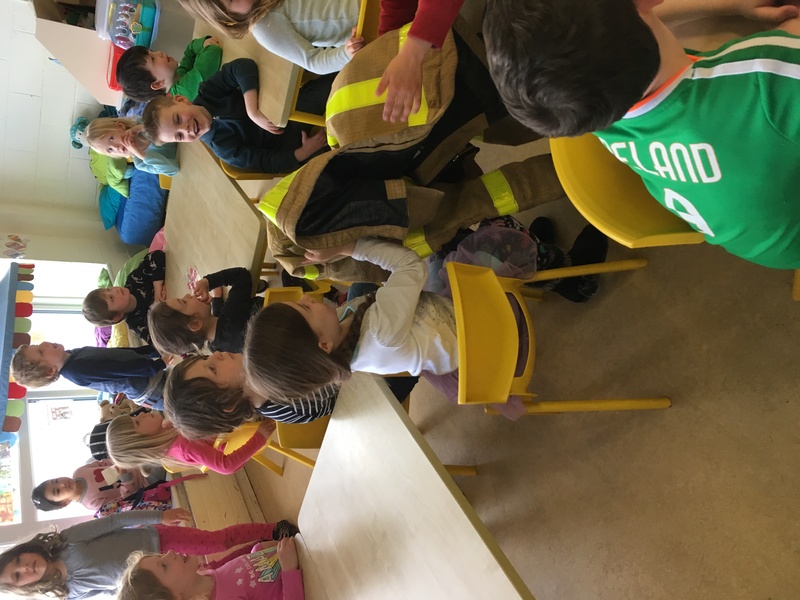 In March, Junior Infants have been learning lots about people who help us. 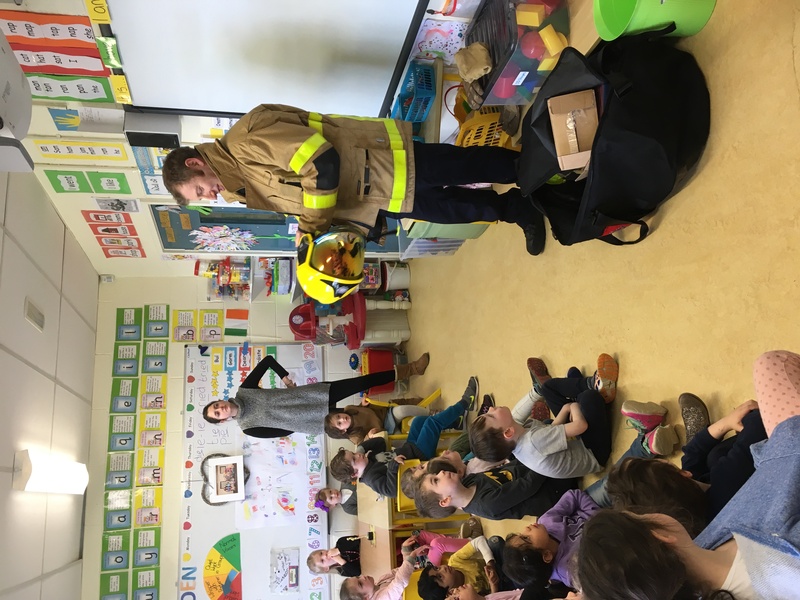 We were very lucky to have some of our parents come in to visit us and tell us about their jobs and how they help people. Our first visit was from Sarah, Nina’s mum. Sarah is a psychotherapist, who works with children. She told us about her job and how people come to her to talk about their feelings. We played some fun games too. 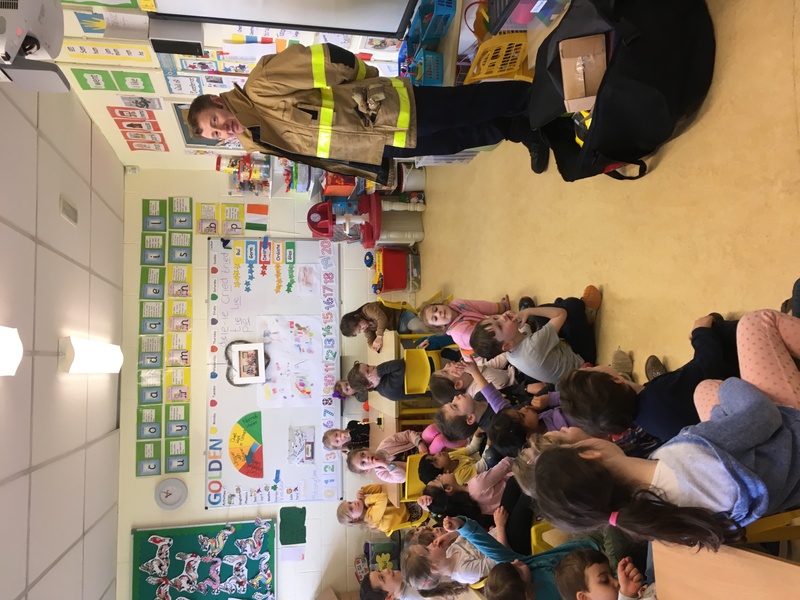 Next, we had a visit from Fiadh’s dad, Dave. Dave is a fire fighter. 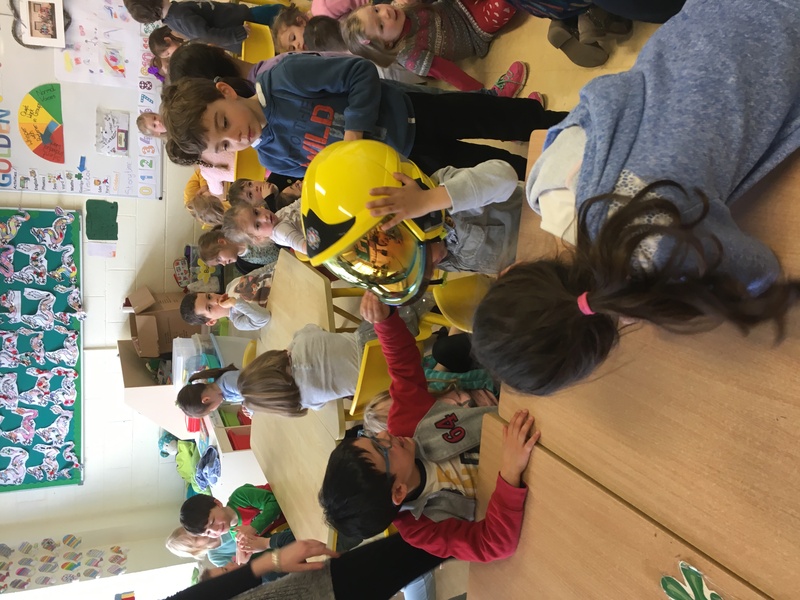 He explained all the different jobs that fire fighters have to do and gave us some fire safety information. 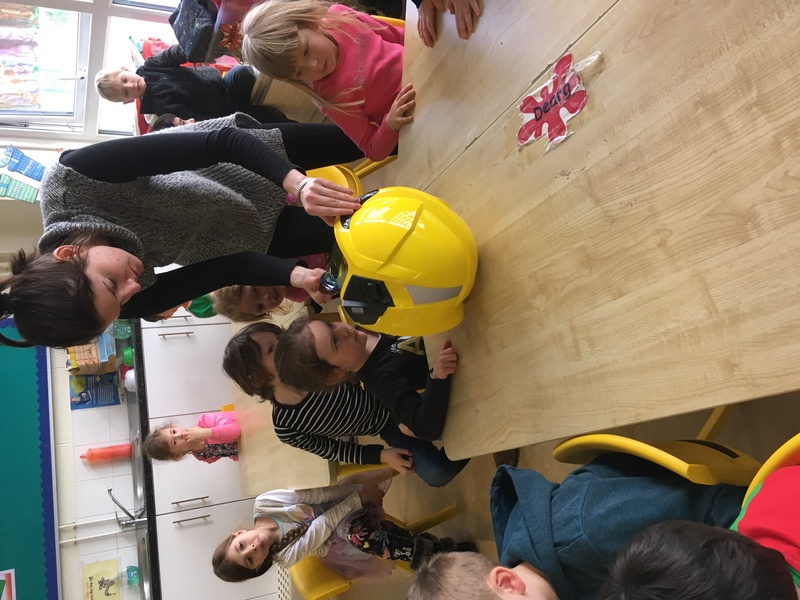 Dave brought in lots of equipment to show the class and even let the children try on his helmet!